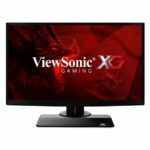 If you’re looking for a cheap but good monitor for gaming and everyday use, the ViewSonic VX2252MH monitor will cover your demands. This budget monitor offers a crisp Full HD 1080p resolution and a quick 2ms response time. The monitor is reliable and cost-effective making it an ideal choice for your multi-display setup, whether for gaming, professional multi-tasking use, or multimedia purposes. 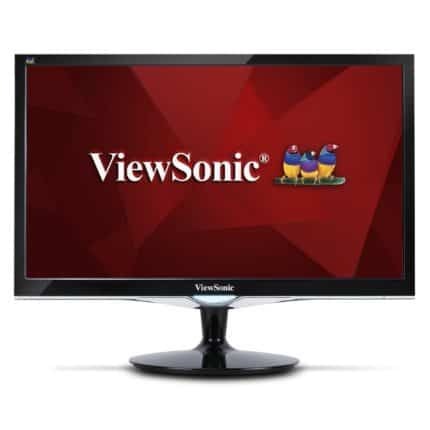 What distinguishes the ViewSonic VX2252MH the most from other budget monitors at this price point is it’s quick response time. The TN panel of this gaming monitor allows for the rapid 2ms response time, which is a common factor for such panels. Although TN panel monitors provide rather poor viewing angles of around 170 degrees, that is not the case with this monitor as it boasts the impeccable viewing angles of 178 degrees both horizontal and vertical. Such viewing angles are a common trait of IPS and VA panel monitors besides the better color production than the TN. Nevertheless, the ViewSonic VX2252MH provides you with a rare possibility of quick response time in combination with excellent viewing angles. The response time of 2ms will eliminate ghosting of fast moving objects in the everyday use and in video games due to the quick pixel transition time between one shade of gray into the other. The main feature of the ViewSonic VX2252MH is the Game Mode. This feature brightens up the dark areas in video games in order to provide you with a better visibility. By pressing the up arrow OSD button on the monitor, you can quickly enable or disable this feature. The Game Mode is particularly useful in very dark video games or when playing FPS games as once the night comes in-game, you will have an enhanced vision, giving you the edge over your opponents. The other OSD buttons include the down arrow key which is a shortcut for the Auto Adjust feature, the menu button, a button for swapping between source inputs, and a power button. The LED power light shines in a blue color when the ViewSonic VX2252MH is on, and in an orange color when it’s in the standby mode. In the OSD menu, besides the usual adjustable parameters such as brightness, contrast, and gamma, you will be able to manually configure color levels of the red, blue, and green colors under the Color Adjust section of the menu. Other available settings include volume adjustments, OSD menu settings, and several color temperature presets. The design of the ViewSonic VX2252MH features a glossy black cabinet with a matte 3H screen coating which eliminates the sunlight reflection. The monitor is VESA mount compatible with 100 x 100mm pattern so that you may easily install it on the wall or a mounting arm. When it comes to the ergonomics, only the screen can be tilted by 20 degrees backward. Other functionalities such as height adjustment, swivel, and pivot aren’t possible. 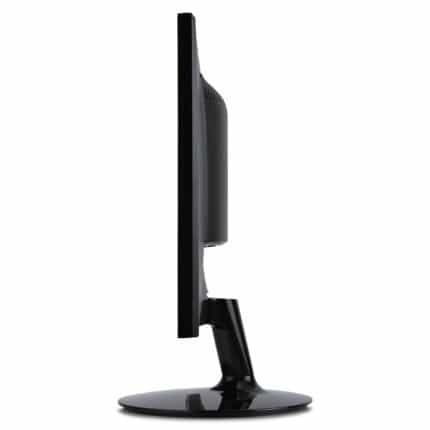 As far as the connectivity is concerned, the ViewSonic VX2252MH features an HDMI, a VGA, and a DVI-D port. It also has an audio line-out and an audio line-in port as well as the built-in speakers of 2W. The speakers aren’t exceptionally good, but they are nice to have around as the backup speakers or if you have no other options. 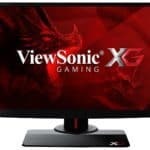 Currently (February 2017), the ViewSonic VX2252MH can be bought for around $115 which is quite an appealing price considering the monitor’s features and performance. For a few additional bucks, you can get a version of this monitor with the DisplayPort and the FreeSync technology, the ViewSonic VX2257-MHD monitor. If you have a compatible AMD graphics card with FreeSync, the second version will significantly improve your gameplay experience. With the ViewSonic VX2252MH, you’ll be getting some very useful features which are usually found in more expensive monitors, such as the Game Mode’s enhancement in dark scenes and quick response time. Moreover, the excellent viewing angles, built-in speakers, and a crisp image quality make it a great monitor for everyday multimedia use as well. The fact that this monitor is cheap yet reliable and has diverse connectivity options make it a great choice for multi-display setups. All in all, the ViewSonic VX2252MH offers a surprisingly good performance and amazing features for a budget monitor and it’s worth every penny. 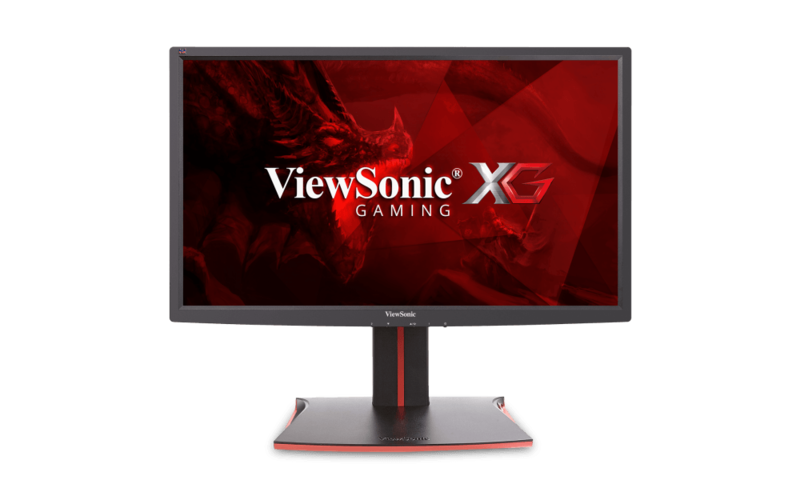 The ViewSonic VX2252MH is an excellent budget gaming monitor as it offers some features and specifications only present in more expensive monitors. With the exclusive Game Mode, quick response time, and the crisp Full HD image quality, video games will appear and run as if displayed on a more expensive monitor.